Ever since I got these Lush sugar scrubs I’ve tried to get them to work for me, as a whole, as powder, mixed with shower gel, mixed with lotion, as a paste and nothing has worked. If you’ve wanted to try them but not sure if they will work for you or if you’ll like the scent I’ll be giving out samples for free. 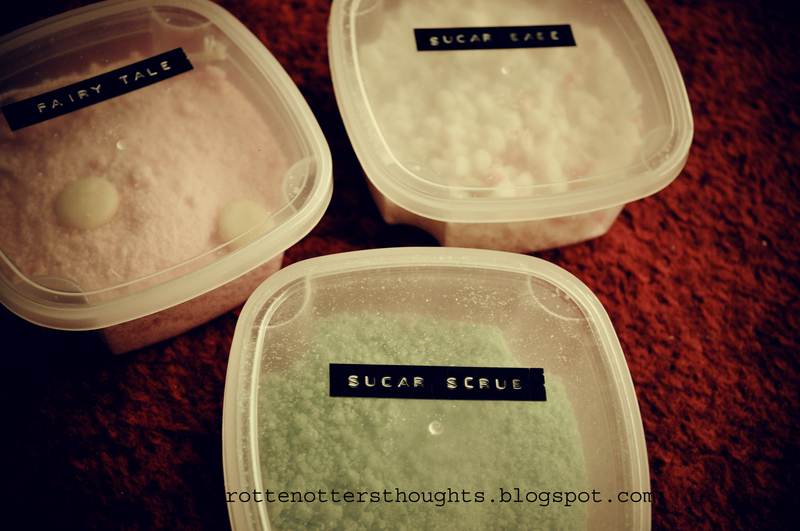 I have Fairy Tale (from last years Christmas collection), Sugar scrub and Sugar babe. I have 1 sugar scrub samples, 2 sugar babe samples and 1 fairy tale samples left. Yes please,I would love a sample Katy. I have no preference out of the 3.